The intern will be involved in collecting social media content from various sources, working with staff to build social media campaigns, writing blog posts, making basic edits to the website, attending pro-Israel events in the community, working with college fellows and affiliated groups to promote their events and articles, creating infographics and working on special projects as they arise. A not-for-profit media-monitoring and research organization devoted to promoting accurate and balanced coverage of Israel and the Middle East. It fosters rigorous reporting while educating news consumers about Middle East issues and the role of the media (but takes no position with regard to American or Israeli political issues). They have recently developed a program assisting students on college campuses worldwide to addressing Middle East distortions. Students are provided with the support for bravely and publicly defending Israel against hostility and distortions on campus. The intern will gain first-hand experience as a journalist in Israel while covering daily news and current events across Israel. Interns will write, edit, research, document, and develop connections with the foreign media. Agency staff ensure that the many perspectives and complexities of Israel are accurately and professionally portrayed to world media. An international Israeli news agency (NGO) that provides accurate and reliable news information in real-time, for international media outlets seeking news coverage on Israel and the Middle East. The agency reports on a wide range of topics: economics, security, politics, technology, scientific developments, agriculture, human stories and more. In this "front-line" position, the intern will do the preparatory research for interesting stories and find accurate sources. The intern will also help with the administration and logistics in launching events as well as media briefing, debates, and field tours for journalists. Media Central is an independent Jerusalem-based NGO providing support services for journalists based in or visiting Israel, the Palestinian authority and the region. This organization provides media-liaison services for the reporter in this region. The intern will work with social media to improve branding, promote the organization and extend its reach. The intern will keep up-to-date with changing trends in social media. The intern will also learn the Editors’ Code of Practice in order to inaccuracy, bias and distortion in UK media. A non-profit organization dedicated to combatting antisemitism and promoting accurate reporting about Israel in the UK media. Since many British news sites have misleading reporting about the region, they require consistent monitoring. By consistently monitoring media outlets and communicating with editors about their claims, the organization prompts dozens of substantive corrections annually. The interns will investigate anti-Israel organizations, monitor Israel news coverage, research news stories, interview members of the Knesset, and research background material for films. The intern will evaluate and review books about Israel and the Middle East, research anti-Semitism of the Arab world and learn about refugees. Other tasks include organizing VIP tours, working with Wikipedia and upgrading social media content. Israel Resource News Agency is a news outlet based in Jerusalem with the sole aim to report Israel’s reality to the media by retaining the services of the best Israeli and Arab journalists to cover, research and investigate the events of the day. It conducts conducts its news investigations with commissions from bonafide news organizations and foundation grants. The intern will research Palestinian media and schoolbooks to analyze and produce reports. Palestinian Media Watch is an Israeli research institute that studies Palestinian society from a broad range of perspectives by monitoring and analyzing the Palestinian Authority through its media and schoolbooks. PMW’s major focus is on the messages that the Palestinian leaders, from the Palestinian Authority, Fatah and Hamas, send to the population through the broad range of institutions and infrastructures they control. Middle East studies. Spoken and written Arabic an advantage. The intern will adapting content - mainly videos - to American audiences, and work to create and build those audiences. 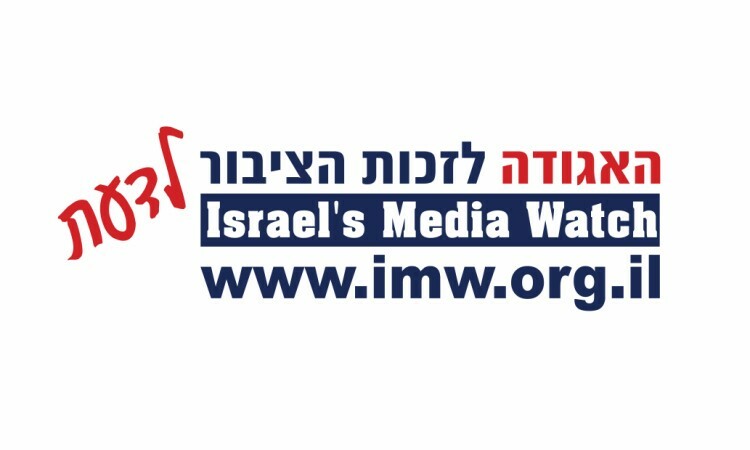 MW is the oldest media review NGO in Israel. IMW is involved in increasing free speech via technology by utilizing new media to bias the flawed traditional media and allowing new ideas to earn their place in the national agenda. Experience in journalism and/or social media.